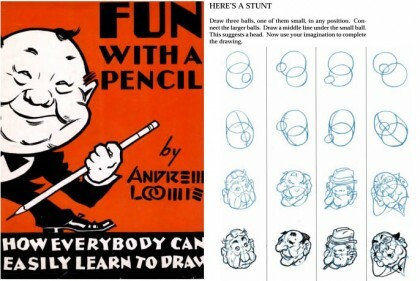 Andrew Loomis was one of the great American illustrators. In 1939, Loomis produced FUN WITH A PENCIL and it is one of the most delightful and influential art textbooks ever published. If you don’t know the name Andrew Loomis– go on-line and enjoy his illustrations. To these aged eyes, no one drew women as beautifully. To this day, Loomis is a huge influence on many of the top comic artists including Alex Ross and Steve Rude and now it is time for him to influence you as well. BRINGING UP FATHER HC VOL 02 CABBAGES & KINGS One of the most popular comic strips of all time, Bringing Up Father is the story of Maggie and her husband Jiggs– Irish immigrants who turned bricklaying into an empire and became members of the nouveaux riche. Maggie wants to enjoy their wealth and climb up in society while Jiggs would much rather sneak off to his old pal Dinty Moore’s Tavern for an evening of pool, beer and cigars all accompanied by a steaming plate of Corned Beef and Cabbage. The strip is always fun to read and plays like a screwball movie from the ’30s with Wallace Beery and Marie Dressler in the roles normally assigned to Hollywood eye-candy Cary Grant and Katherine Hepburn. This IDW volume collects all the Dailies and Sundays from 1937-38 and chronicles the trip Maggie and Jiggs make to England for the coronation of the new King. The art by George McManus (along with his talented assistant Zeke Zekely) is truly sumptuous; a unique and effective blend of big foot style cartoony characters coexisting in the same frame with highly stylized and detailed art that captures the fashion, interiors and architecture of its ART DECO time period. More than any other newspaper strip, the readers finds themselves lingering over panels just to soak in all the splendid detail. 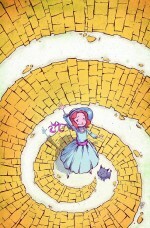 It can take your breath away–repeatedly! The great Al Williamson is one of my all-time favorite artists. In my opinion, his run on Secret Agent Corrigan and the Star Wars newspaper strips are as good as any adventure strip ever produced. Fantagraphics offers yet another beautiful volume of artist-centric EC reprints with all the stories Williamson produced for Weird Science, Weird Fantasy among other titles. Unlike the cookie-cutter plots of the EC horror stories, 50 Girls 50 contains original ’50s style Sci-Fi stories including three tales adapted from the works of SF Greats Ray Bradbury and Harlan Ellison. And like the great Mr. Loomis mentioned above, Al Williamson is a master at capturing the female form in all its glory times 50! You’ve seen these over-sized IDW artist editions. You know you want one and you know deep down in your heart, you deserve at least one (if not all of them). I have no idea what stories are included in this volume, and frankly, I don’t care. 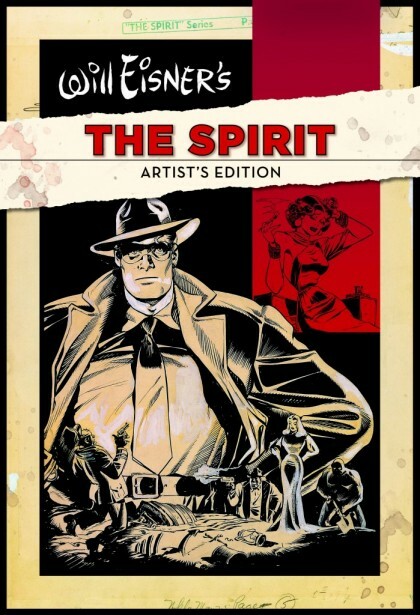 This book presents page after page of The Spirit from the ’40s drawn by Eisner and presented in it’s original size. The excitement these books produce just by sitting on the shelf is almost palpable. Owning and reading one is practically a religious solemnity. And before the ink dries on the check you’ve just written, don’t forget this stunning and delightful new take on an old classic. Eric Shanower and Skottie Young continue their beautiful and exciting reinterpretation of L.Frank Baum’s immortal OZ series with this wonderful 5th installment. This is the kind of month where an investment in the very best of comic art trumps any fiscal responsibility you owe to your kids’ college fund. Years from now, when you will these books to them, believe me, they will thank you!! Happy Birthday to me– and hey, you now know where I’m registered.